If you’re thinking about installing a solar array on your roof (or in your garden), you may be wondering if it’s really worth it. Well, it is! Here’s what you’ll gain by going solar. Your electricity bills comprise a large proportion of your household expenses every year, so with a solar array, you’ll be able to generate electricity for at least 25 years! You may not manage to eliminate your bills altogether, but you’ll certainly reduce them quite a bit. Don’t think of your solar panels as an expense – think of them as an investment. They’re actually a very good investment; as good as some decent bonds, in fact. After six or seven years, most householders find the panels have paid for themselves and are starting to provide a good return! Solar panels mean than the rise (and rise) in energy costs won’t matter so much to you. You can essentially fix your energy costs against fluctuations (or, rather, rises…) and this means you can manage your finances better. Many studies and anecdata from real estate agents tell us that houses and apartments with energy-saving or sustainable energy tech sell faster and sell for more. 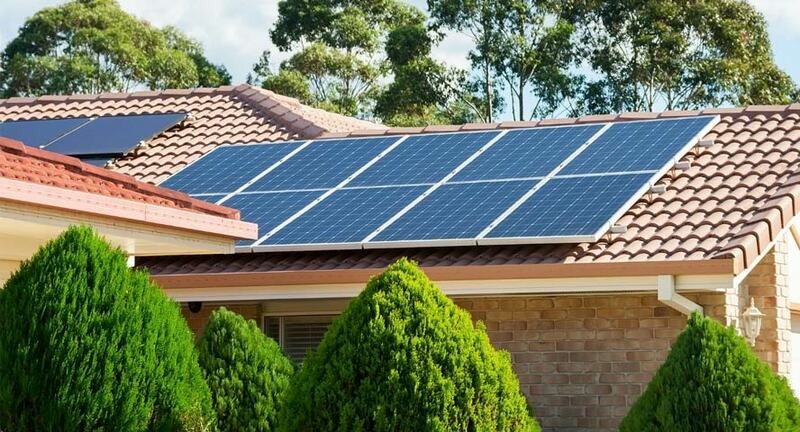 Out of the various sustainable energy features available, solar panels are the most popular in the Australian property market, with 85% of househunters saying they’re happy to pay more for a solar-powered property. Let’s face it, although the sun will run out of fuel one day, we really don’t have to worry about it just yet! It’s effectively an infinite source of energy and if Australia can generate more and more electricity from it, the country will be shielded from global fluctuations in energy costs. Solar power is one of the best ways to reduce your carbon footprint. Our buildings kick out a third of the country’s CO2 emissions and by going solar you’ll be helping to slash this at source. The average residential solar array “takes out” three or four tons of carbon emissions a year, which is the same as planting 100 trees every year.